Inspired by the lush and vibrant lifestyle of Miami, Silver State Inc. presents SOUTH BEACH, the pinnacle of Sunbrella® fabrics for 2016. The hand is plush and luxurious and the colors are cool and vivid. 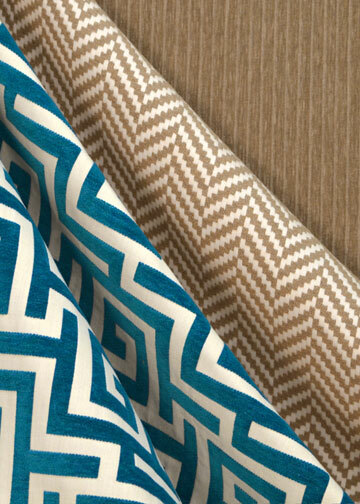 Patterns are boldly forward and sized to attract attention. Avenues: Large/mid-scale Greek key. Geometric in design and multi-directional. Chenille as elegant as a cut velvet on a plain cloth ground. 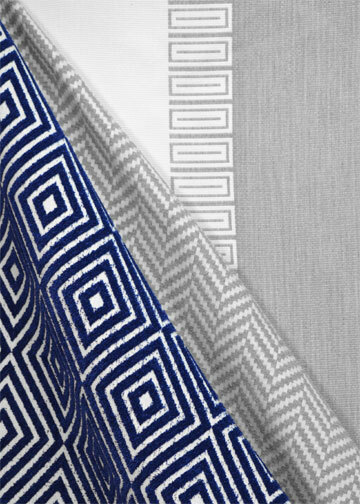 Fontainebleau: Huge railroaded stripe with our modern take on a traditional key design blending the two colors. A 32.25” repeat allows many options. 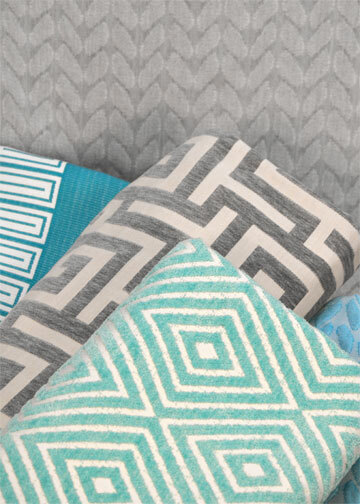 You can center a cushion on either of the two colors making the other a border feature. You can also center this pattern in the middle where the stripes meet. Kitty Kitty: A new take on a classic tiger pattern. A new technique gives this Kitty a feel as soft as cashmere. You really have to touch this to appreciate it. 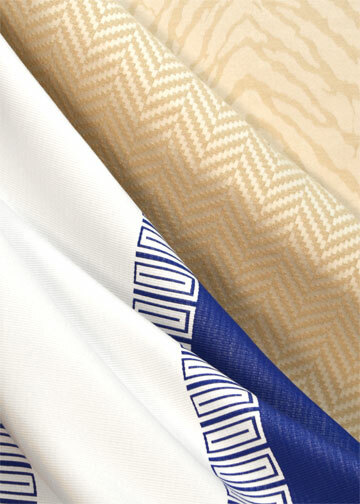 From our fat corduroy Ibiza to our elegant outdoor sheers, we promise you will have stunning spaces with SOUTH BEACH.